Liv­ing in Orch­ard, this epi­tome of spick and span but also of airy-fairy, has been nice. All the prestige brands at my door­step (like that ever mattered, but don’t they look good), but the budget-priced eat­er­ies (which always mat­ter) are far and between. Train sta­tion with­in walk­ing dis­tance, four train sta­tions to work. Con­veni­ence. But there came a time when I was no longer feel­ing it. At first, it star­ted to wear thin. Then, not even that any more. It was time to look round for some­where else to stay the night. So now, Bugis. No lux­ury brands (at least no real ones), but eat­er­ies in every nook and cranny. Train sta­tion right in front of the door, two sta­tions to work. What’s dif­fer­ent: a bus sta­tion too, three sta­tions to work. Still con­veni­ent? Oh yes, sir. This hasn’t been the move to the heart­lands which I had con­tem­plated at times. Bugis is still very much inner city. Just a dis­tance from its jew­elled bos­om, slightly more towards its under­belly. I’m not call­ing this a bad thing. 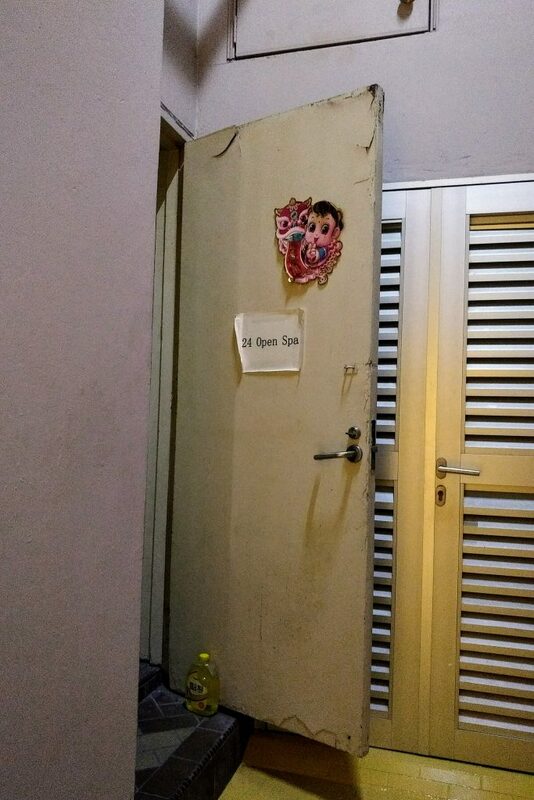 Bugis does have its lively shop­ping centres (of course), but they don’t suc­ceed in hid­ing the rel­at­ive grit­ti­ness of the neigh­bour­hood. The place is named after the people from South Sulawesi who came to live to Singa­pore in the sev­en­teenth cen­tury, pur­su­ing their pro­fes­sion as sea­far­ing mer­chants and, some­times, as pir­ates, if my his­tor­ic­al source is cor­rect. Dec­ades ago, I’m told, the quarter was known for its vibrant scene of trans­vest­ites and trans­sexu­als. 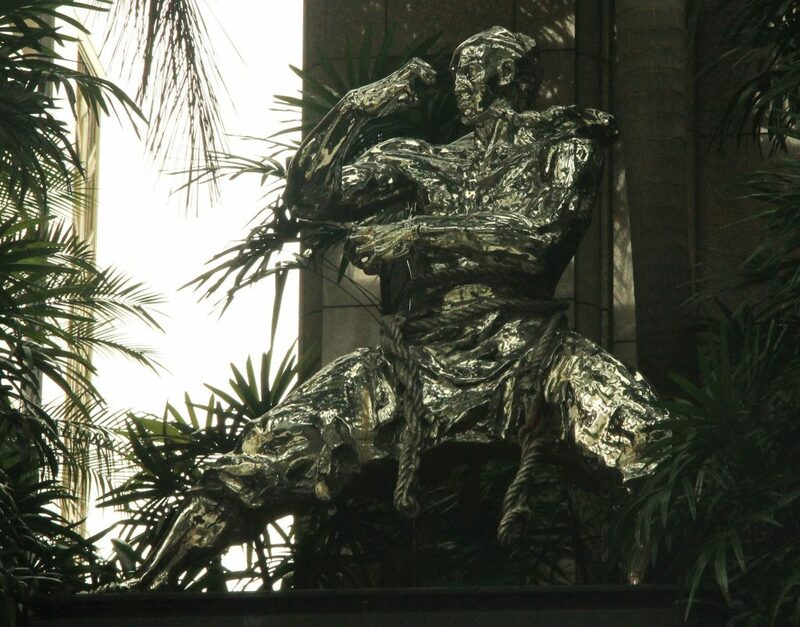 Then the G cleaned up ‘redeveloped’ the area in true Singa­pore fash­ion, eighties style. I like to think there’s a bit of the old buzz left (or back again), but I can’t tell for sure. There’s some­thing in the air, but is it buzz or the smell of char­coal from the steam­boat res­taur­ants? Don’t get me wrong. I’ve been here, often. But it makes a dif­fer­ence wheth­er you go out some­where or you call it home turf. I had come here for yoga, because #YogaEvery­DamnDay. This is more con­veni­ent now, because my stu­dio is just across the street. 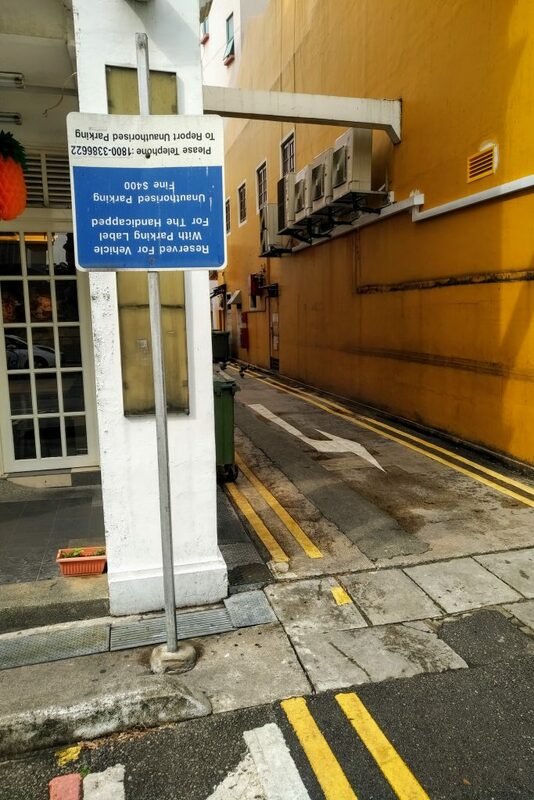 Apart from that, I had known Bugis Junc­tion and Bugis Vil­lage. Heck, I’d even been to Bugis+. I had known Ah Chew Desserts at Liang Seah Street. I’ve had steam­boat din­ner there before, too. But I had not been aware of this place oppos­ite Bugis Junc­tion, on Tan Quee Lan and North Bridge, that serves bingsu 24/7. I have yet to try it; I’m pretty clue­less about Korean dessert. 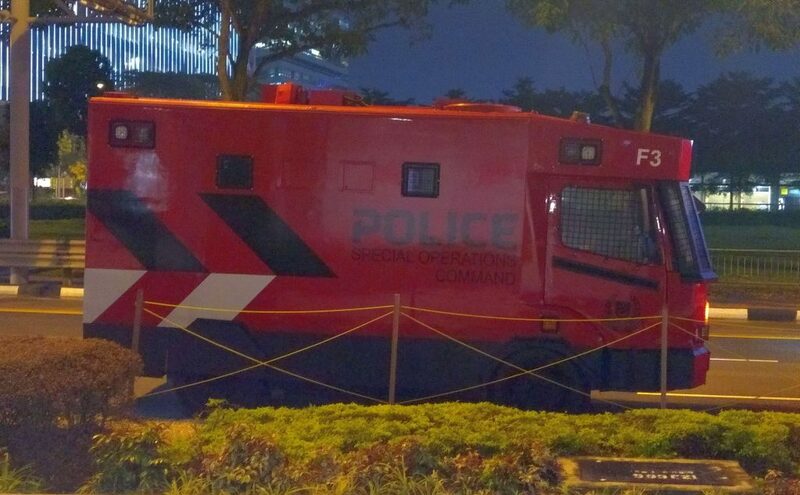 Nor had I been aware of the two to four vans of the Singa­pore Police Spe­cial Oper­a­tions Com­mand which seem to be park­ing over the way at least once a week. I have yet to find out why; I’m pretty clue­less about the Spe­cial Oper­a­tions Com­mand. I had been to Bat­man Build­ing (aka Gotham City House aka Park­view Square). Now it’s just a stone’s throw from my place. Every­one knows its gob­lin statues come alive at night. But what about the statue of this fel­low? Haji Lane, Arab Street and the rest of Kam­pong Glam are a (brisk) five-minute walk away. More than ever this area feels like an epis­ode of Young­er, what with all the tat­too stu­di­os and cafés, the craft beer and the live music (not com­plain­ing). And with how every detail is arranged for max­im­um ins­tagram­mab­il­ity. Haji Lane. This is where Nura and I had our first kiss, so it holds a spe­cial place in my heart (to say noth­ing of a par­tic­u­lar hip hop night at Blu­Jaz Café). Going to Kam­pong Glam more often means Zam Zam is back on my radar screen. That fam­ous eat­ing place oppos­ite Sul­tan Mosque. I used to think it’s great, then I found its stand­ards had fallen some­what in recent years. Now it’s back to former mur­t­abak glory for me. Did I Say Quirky, Rough, Smelly and Sleazy? It’s been less than a month since I’ve moved here, and I can’t say I’ve fully arrived yet. This may be because of a few unre­solved issues at my new place (the pic­tures aren’t up and a din­ing table wasn’t delivered yet). Neh min’, I’ve found myself a kopi uncle already (that was import­ant). Now that break­fast is sor­ted out, I might just con­tin­ue scen­ar­ising this dis­trict. 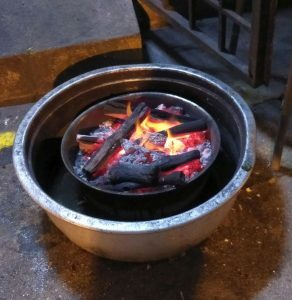 See what it feels like to live in this quirky, rough, some­times smelly, some­times even sleazy hood that is Bugis. And yet I’m quite fond of the atmo­sphere so far. Which, of course, is largely due to where I bed my head. To live in a house built in the nine­teenth cen­tury is prob­ably not com­mon­place in any city. In Singa­pore it’s very rare. This is rather old-world, but actu­ally, it’s cool. Whatever is going on out­side, inside it’s pretty mod­ern, fit­tings and appli­ances and all. Is the place haunted? One more thing to find out. There were two long-last­ing fire alarms in three weeks. One of them brought the fire bri­gade to the scene.